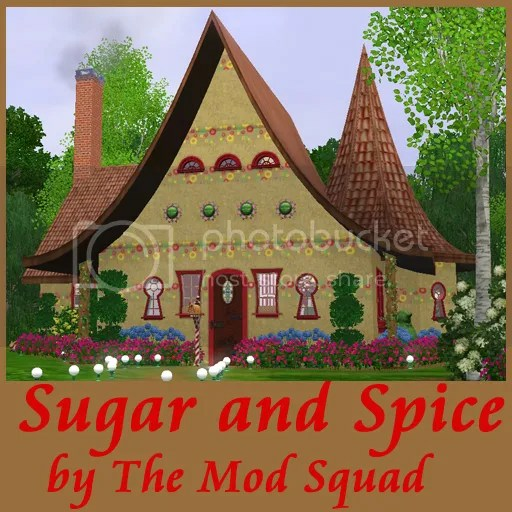 This build is an entry for the Team Building Challenge hosted by KitKat, Jasnik and Sherry. Originally, the team was Jasnik as architect, Cera as landscaper and Kimwriter as interior designer, but due to computer issues, Kim had to drop out, and I was asked to fill in. And what a challenge it was! Creating a house looking like it’s made out of candy, to cater the needs of Hansel and Gretel…. The house has two bedrooms, two bathrooms, a laundry room and an open plan living area/kitchen. Architecture by Jasnik, landscaping by Cera, interiors by linday. Cera did a brilliant job putting together our little showcasing story… Take a look!